Renewable Energy Services(Solar,Wind,Bio-Gas,Bio-Mass,Hydro-Electric) Services,Installation,Engineering and Design. We at D & R Energy Services, Inc. are a Renewable Energy Systems Developer and Integrator. As such we design, engineer and construct Solar, Wind, Hydroelectric, Biogas and Biomass systems for homeowners, farms, municipalities and businesses. But our services do not stop there. We work with, and for you, our customer at every stage of the project. As the consumer, you have the right to know what is happening and we will keep you informed at every step of the process. 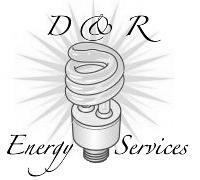 D & R Energy Services is a Professional Corporation with over 25 years in Renewable Energy. Our Senior Engineer holds two engineering degrees in Mechanical and Electrical Engineering. We started in Landfill Biogas and have incorporated Solar, Wind and Biomass systems into our portfolio to better serve our customers needs. Our company is in for the long haul to support our customers in another 25 years. We listen to our customers. Our goal is what you want in the way of Renewable Energy, not what we want you to have. This approach to customer service sets us apart from many companies who just sell Renewable Energy products. We educate our customers. Everyone has heard of Renewable Energy. Pick up a newspaper or listen to the news on radio and TV and you hear about it. But, how many people know exactly what is available and how it can help save them money. There are a lot of options available to you and we show you what these differences are in each so that you can make an informed decision for you and your family or business.